These careers weld components in flat, vertical, or overhead positions. Lay out, position, align, and secure parts and assemblies prior to assembly, using straightedges, combination squares, calipers, and rulers. Examine work-pieces for defects and measure work-pieces with straightedges or templates to ensure conformance with specifications. 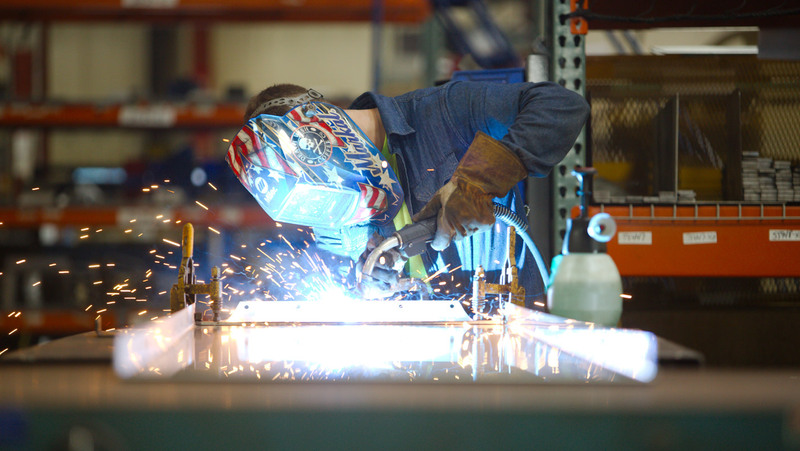 Many of the advanced manufacturing companies in the region have careers in welding available. To learn more about these companies, check out their profiles below.